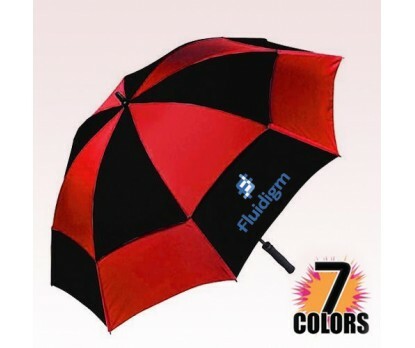 62” windproof custom printed umbrella is not a regular choice for business promotions, but it is indeed a unique one. 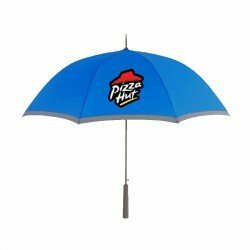 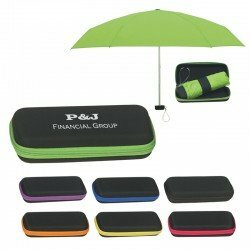 This big sized umbrella will remain upright during high winds and harsh downpour and continue to promote your brand in unique way. 62” windproof custom printed umbrella is offered in 7 assorted colors and is desirable due to its features such as double canopy windproof frame, fiberglass shaft, and frame, EVA rubber handle, and matching nylon sleeve.